North Giza prosecutors on Sunday ordered the detention of Salafist activist Abdel-Rahman Ezz for four days pending investigation for his alleged involvement in last December's arson attack on the liberal Wafd Party's headquarters in Cairo's Dokki district. Ezz is a member of Egypt's Hazemoon movement (supporters of prominent Salafist preacher Hazem Abu-Ismail) and a vocal supporter of President Mohamed Morsi and the Muslim Brotherhood group from which the latter hails. Shortly after December's attack on the Wafd Party's headquarters, Mohamed Tharwat, managing editor of the party's news website, accused some 500 Hazemoon members of involvement. Abu-Ismail, however, vehemently denied his supporters' complicity in the incident. 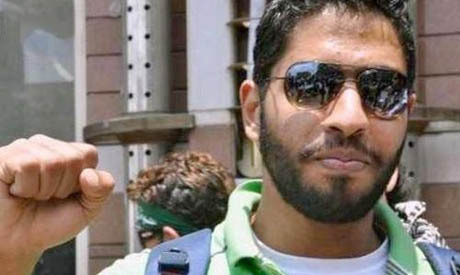 The charges against Ezz are supported by video footage showing him leading a protest in front of the Wafd Party's headquarters, along with two eyewitnesses who say they saw the defendant during the attack.